Download free trial of Photo Collage Maker! 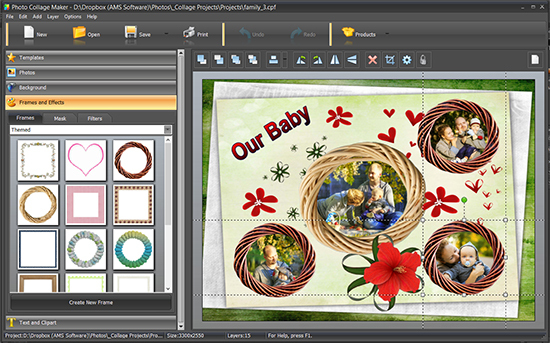 Photo Collage Maker is a simple and intuitive program for designing and printing beautiful collages, photo albums, and scrapbooks. Making a collage of pictures has never been that easy. Pick one of 350+ design templates, decide on the collage size, and drag your photos into the boxes - that's it, a stylish collage is ready! 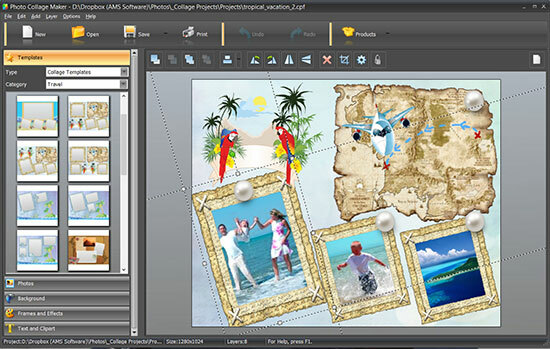 There are dozens of tools you can use to customize the design: edit images with photo filters, decorate them with frames and masks, add clipart and captions… there’s all you might ever need for digital scrapbooking. 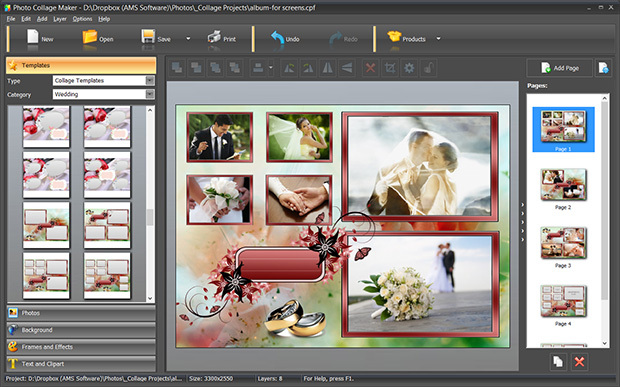 The software comes with a gallery of themed templates, organized into groups: Wedding, Children, Seasons, Travel, Vintage etc. These designs can be used both for preparing a 5-minute gift, an invitation, or a postcard, and for big projects such as creating a family photo album. You may also want to make a classical grid collage or a jumbled layout with lots of photo layers – great for stylish posters or for presenting your photography. 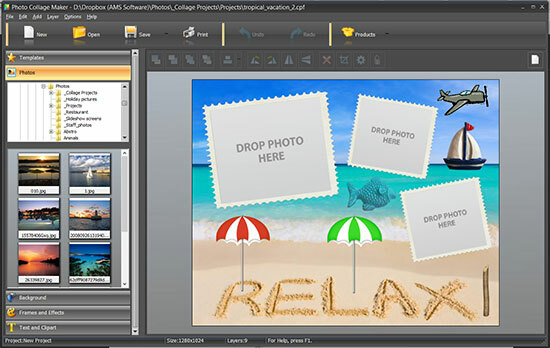 Photo Collage Maker offers a variety of export options. 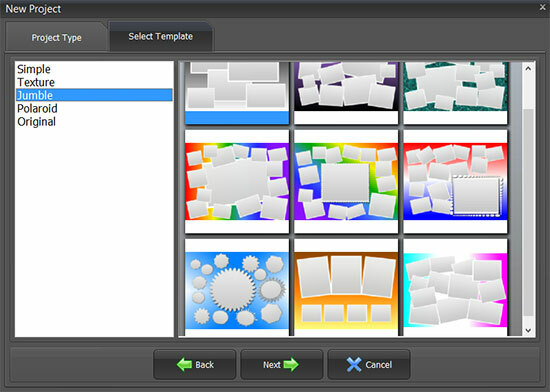 Save your collages as JPEG (with optimized quality) or choose other common image formats like PNG, GIF, BMP, or TIFF. You can then email the image file, share it on Facebook, or upload it to your personal blog. Print your collages and scrapbook pages on any type of paper: the print wizard gives you a large choice of common paper sizes and even lets you add new ones. Order full version of Photo Collage Maker!